California to spend a few days in San Francisco. It was an 800 mile round trip, but one which we enjoyed immensely. Personally, I have long held a slight fascination for San Francisco: the 60’s music scene, the Golden Gate bridge and Alcatraz prison. But perhaps my interest was initially tweaked as a child growing up on a diet of Steve McQueen movies and those memorable car-chase scenes featuring ‘The king of Cool’ tearing around the streets of San Francisco in a 1968 Mustang in the movie ‘Bullitt‘. 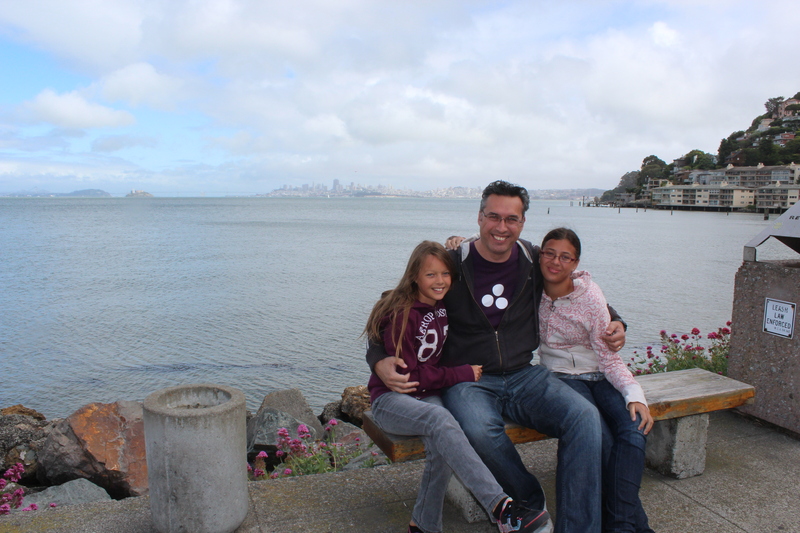 One of the things we were advised to pre-book well in advance was the day-trip to Alcatraz Island. There is only one company that is allowed to land on Alcatraz Island and it is impossible to turn up on the day and expect to get on the boat unless you have pre-booked at least one week ahead. So, with accommodation organized (we decided to stay in San Bruno which is only a twelve mile drive to the city center) and the alcatraz trip already booked, we headed up the 5 freeway for the six-hour drive to San Francisco. 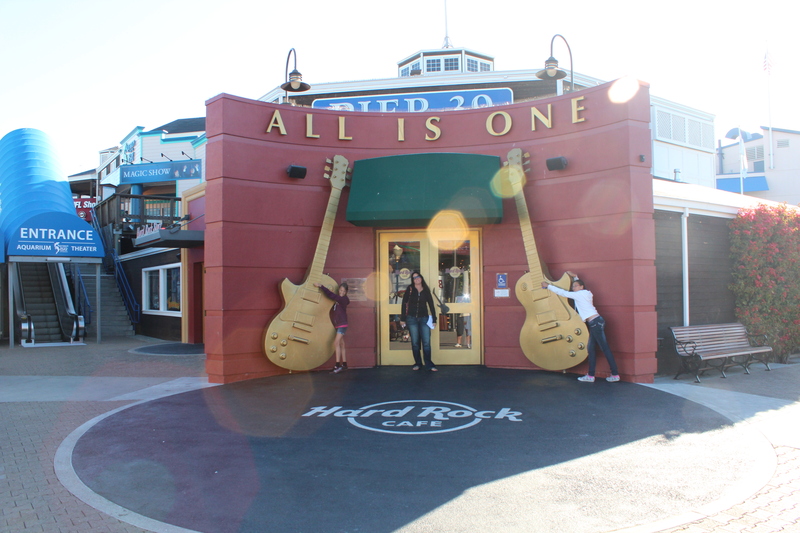 Our immediate impression of San Francisco was it was a lot like our home city Wellington. A city built around a harbor, the all-too familiar cool sea-breeze (at times the wind was really cold) and the Victorian-style housing built very close to each other. Certainly the climate was noticeably cooler than what we have been experiencing over the last couple of months: late 80’s degrees fahrenheit in L.A compared to the early to mid-60’s in San Francisco. 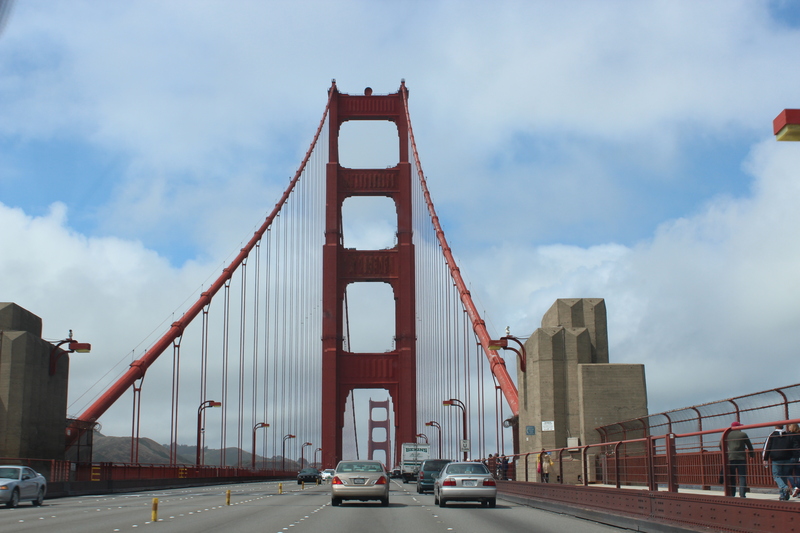 The first thing we did was drive across the iconic Golden Gate Bridge then walked around Sausalito, browsing through the dozens of unique boutique stores in the main area and taking in the fantastic views of San Francisco city from across the harbor. Apparently, Otis Redding was staying in Sausalito at the time he composed “Dock of the Bay” and we can understand why. It is a very picturesque part of the San Francisco Bay area and a nice relaxing way to end the day. 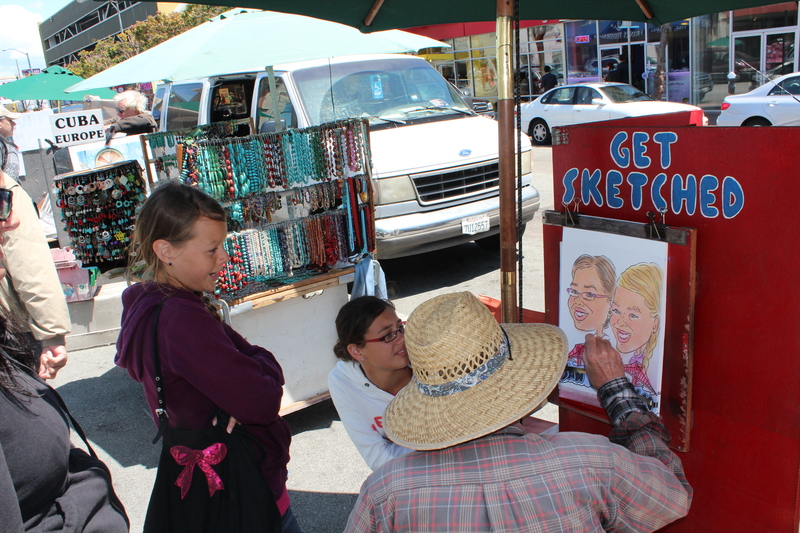 The next day was spent in the city itself as there were many things we wanted to see there. We managed to find some really cheap parking in the city near Pier 39 where if you got there before 9AM, you could park all day until 11:59PM for only $10. 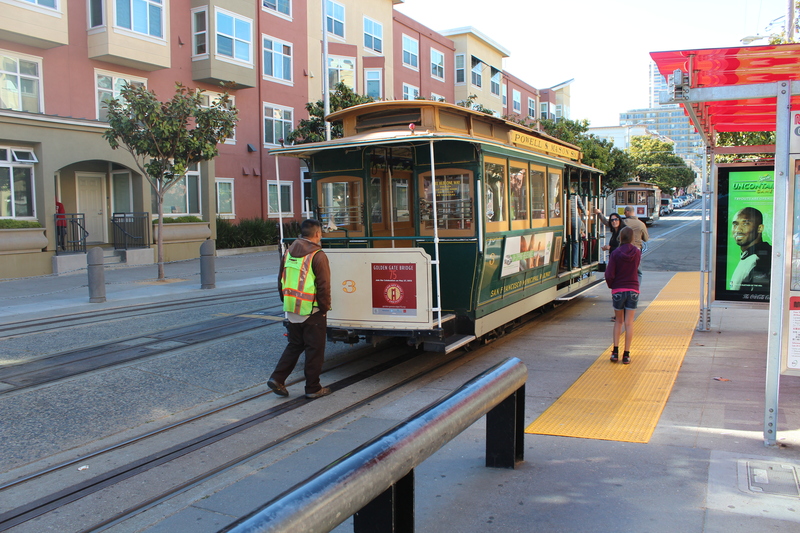 After checking out the sea lions camped out at the West Marina at Pier 39, we headed towards the cable cars. Our plan was to catch the cable car to Chinatown, then hike back to the top of Lombard Street, walk down Lombard toward the Marina area, then make our way around the piers. This involved a lot of walking so I was very grateful that the Lord kept any gout attacks at bay. 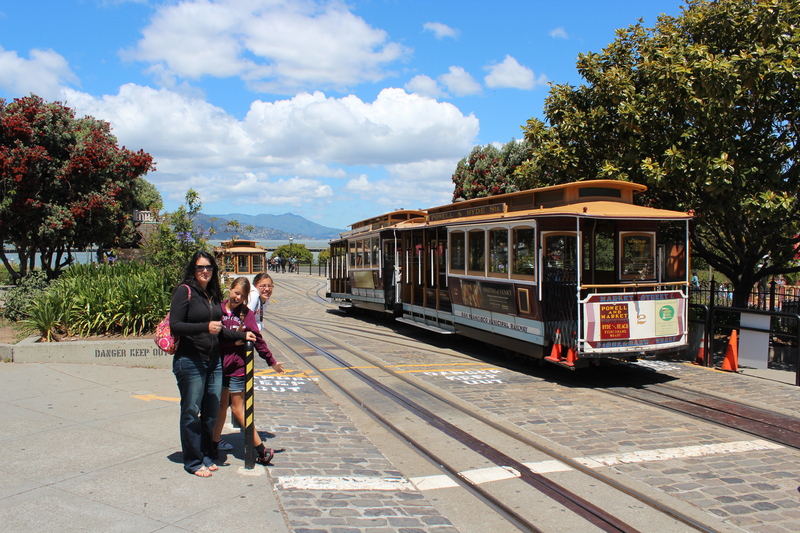 Being from Wellington, we are not completely unfamiliar with cable cars, but it was fun to ride on the famous cable cars of San Francisco through the city center. We took the Powell-Mason car to Chinatown and for a while I could ride the cable car standing on the side running boards. What fun. Even though Chinatown in San Francisco is a relatively short eight blocks long and a couple of blocks wide, it is the largest Chinatown outside of China itself. I think we got there a little too early in the day, as most of the stores were still closed (or were in the process of opening up as we wandered through), so we mainly looked through the stores that were open and snapped a few pictures of the area. 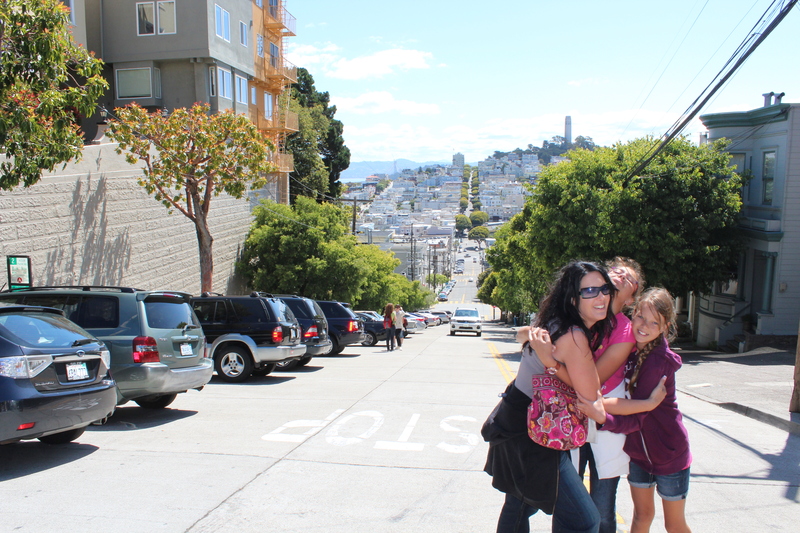 After Chinatown, we headed uphill toward the top of Lombard Street, known as one of the crookedest streets in the world. 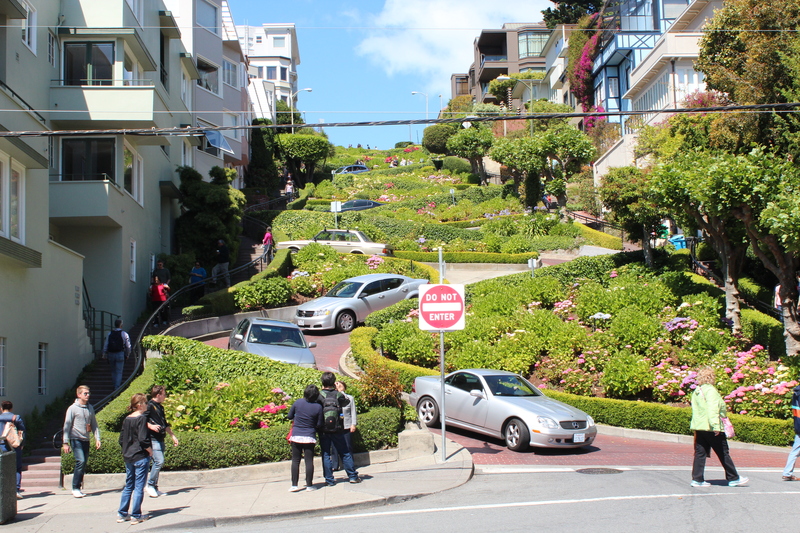 The crooked section of Lombard is about a block long but very well decorated with colorful plants and flowers. Once we got to the top, there were bus loads of people stopping and taking pictures of the street, but at times, the sight-seers hindered residents and other car traffic by refusing to step off the road to left them through. Pretty rude if you ask me. 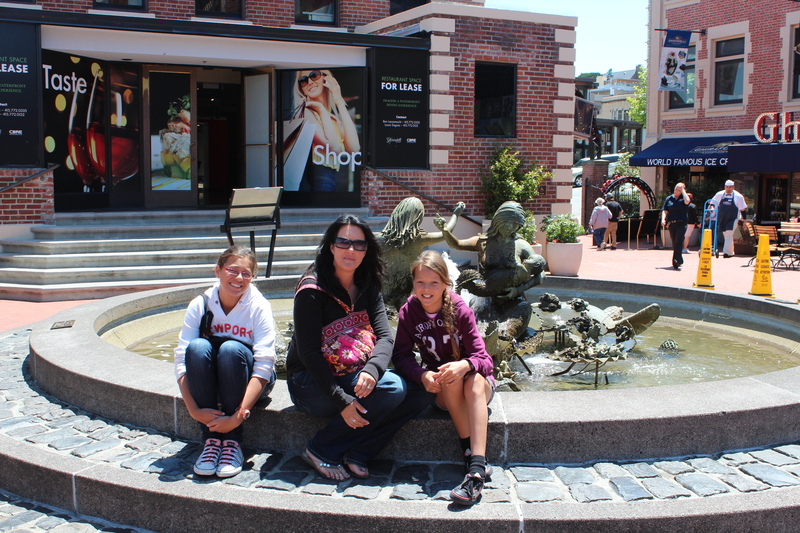 After we walked down Lombard Street, we wandered down to the waterfront and then to Ghirardelli Square, which is a pleasant shopping area (but full of mainly souvenir-type stores) based in what used to be an old woolen mill from the mid-1860’s. Ghiradelli is the name of a chocolate brand and in the square, among others, there is a Ghiradelli chocolate store and an ice cream shop. At the end of the day, we were exhausted having completed so much walking but we did get to see a lot of the city. We were very much looking forward to the next day which was our trip to Alcatraz Island and a tour around the famous prison.